Where am I? How can I find my way from here to there? Are we almost there? These are three of the most popular questions in mountaineering, and this chapter shows how to find the answers by using routefinding, orientation, and navigation. By the time you finish this chapter, you will have a good handle on the tools of navigation and the proven, painfully acquired techniques of top-notch route finders. You will have the basic knowledge to eventually head into the wilds, work out the way to the mountain, and find the way home. These tools and techniques are simple and straightforward, but exacting. Study them carefully to help make your mountain adventures successful and keep you safe within the ranks of surviving routefinders. Before you immerse yourself in this chapter, remember two things: Navigation is easy. Navigation is fun. A positive attitude will get you through the learning phase in a hurry and out into the field to use these indispensable skills of mountaineering. Orientation is the science of determining your exact position on the earth. It requires mastery of map and compass. People who spend a reasonable amount of time and effort usually gain this mastery, even when they have little background or interest in math or science. Navigation is the science of determining the location of your objective and of keeping yourself pointed in the right direction all the way from your starting point to the destination. Like orientation, this takes map and compass and is a required skill for all wilderness travelers. 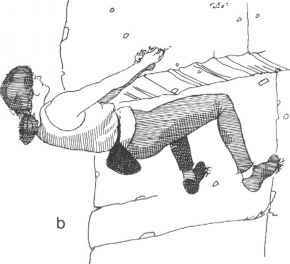 Routefinding is the art of locating and following a route that is appropriate to the abilities and equipment of the climbing party. It takes a lot to be a good route finder: an integrated sense of terrain, distance, and direction; a combination of good judgment, experience, and instinct; and a solid grounding in the technical aspects of orientation and navigation. As with other arts, routefinding skills can be sharpened through practice, regardless of your basic aptitude. A related activity is orienteering, a sport in which participants compete with each other and the clock in finding the way with map and compass to destinations along a structured course. Orienteering is not a part of mountaineering, but mountaineers can learn from those who compete. It is no accident that many of the best routefinders are people who have engaged in orienteering. How to learn good route finding skills?